Spring is beginning to roll in here in the Mid-South. Daffodils, forsythia and tulip magnolias are beginning to wake up from their winter slumber. Spring in the South is amazing! We still have the dogwoods and the azaleas to look forward to! If God did one thing for the South, he gave it a wondrous and glorious springtime! 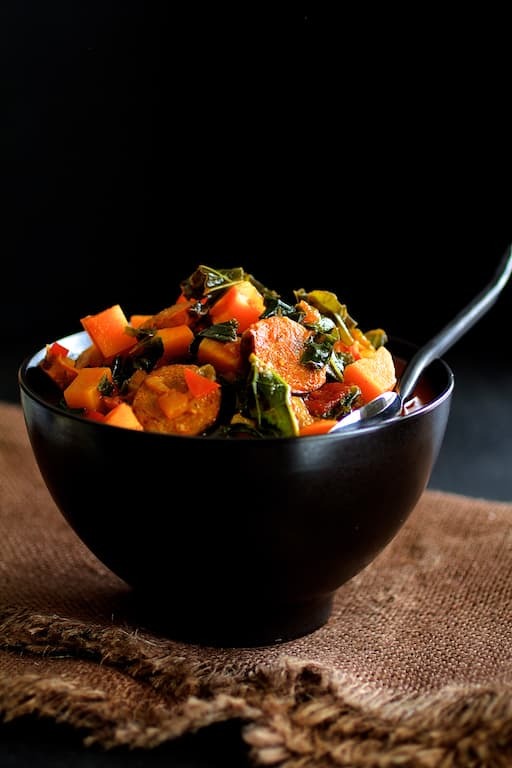 Although this beauty is happening by day, it still gets dark before 6:00, the nights are C-O-L-D, we light the fireplace to take away the chill and I still crave a little comfort food like this Paleo-friendly Chorizo, Kale and Sweet Potato Stew. This may sound like the bad old 70’s song, but instead of being torn between two lovers, I’m torn between two seasons! Because we’re heading into spring, I didn’t want to go too meat-heavy in this dish. 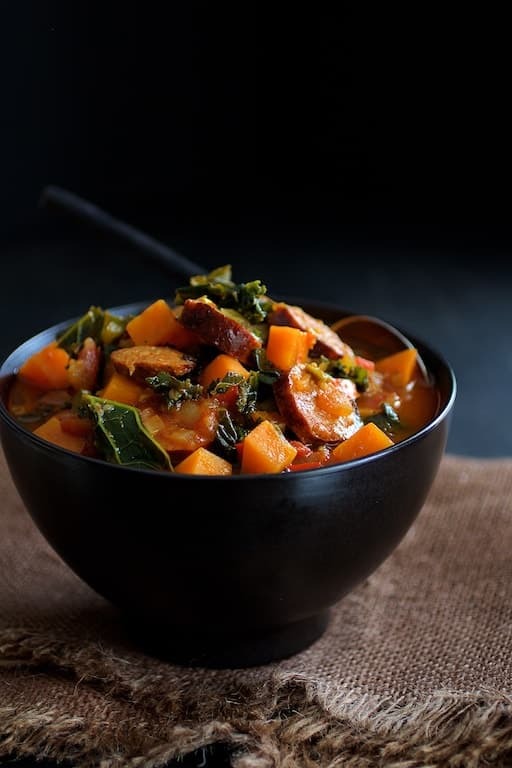 The chorizo is the right amount of heartiness while the kale and sweet potatoes move this stew to the lighter side. Enjoy this dish and enjoy the beautiful gift of spring! Hearty and nutritious and the perfect warm-up! Refresh oil in pot if needed. Add the onion and peppers and cook 7-8 minutes or until softened. Add garlic, paprika, curry powder and cayenne and cook briefly, approximately 15 seconds. Add chicken broth, diced tomatoes, tomato sauce, sweet potatoes and sliced chorizo. Bring to a boil, reduce heat to low, cover and simmer 15 minutes or until sweet potatoes are almost tender. Add the kale and cook 5 more minutes until wilted. Add the vinegar and season to taste with salt and black pepper. I just made this. Soooooo good. I did not slice the chorizo, but took off the casing and let it cook loose in the stew pot. I tasted it and found it lacking…..BECAUSE I FORGOT THE RED WINE VINEGAR! I then added it; that made all the difference! I just ate 2 bowls. I think it is one of those dishes that is even better the next day. Thank you! This was wonderful! 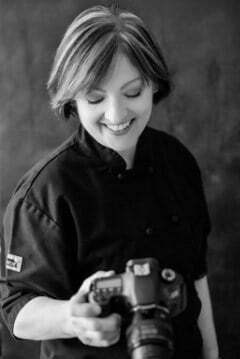 Hi, Nancy Ruth! So glad you enjoyed! Yes, a little splash of vinegar in things suddenly makes things “pop!” The chorizo is fine that way. I did it the other way because it photographs better but whatever works! Thanks again and please stay in touch! This stew is amazing! It’s become a favorite of my family’s this winter. I also add prepared Barley at the end to make it extra filling. Thanks, AJ! So glad you’re enjoying. It really is a great winter stew that’s healthy. Love when my readers put their own spin on things and make it their own, too! Thanks again and please stay in touch! I hear ya! We are in North Carolina and the day is nice and sunny and warm and when that sun goes away, BRR!!! This stew would perfectly satisfy my cold family! This does look so warm and comforting! I love the addition of fire roasted tomatoes, too. Gorgeous image — pinning.